One of my favorite movies of the 80’s was Berry Gordy’s The Last Dragon. This movie chronicled the rise of Bruce Leroy as he overcame his evil nemesis Sho’nuff (The Shogun of Harlem) and became a master. By today’s standards it’s more than a little corny and predictable but when I saw it as a kid I was amazed and empowered. The protagonist was a naive, humble guy who worked hard and wanted to do good. His powers and abilities were martial arts and it was said, in the movie, that once one truly perfected his skill, he would glow. The character was enamored with Bruce Lee, not unlike myself, and dreamed of becoming as good or better. He spent most of the movie searching for the master that would teach him to become his best self. 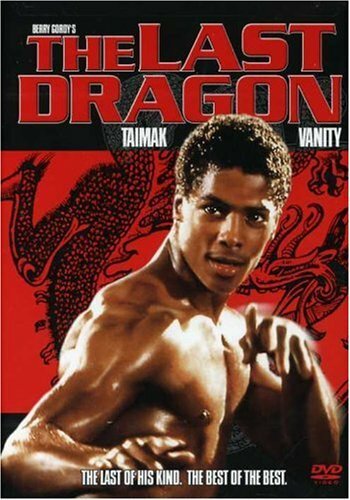 The movie starred Taimak as Bruce Leroy, and Julius Carry as Sho’nuff. The female co-star was Vanity who I had only seen before in music videos. You can find the movie on Amazon. In the meantime, have a look at the trailer. Do you remember this movie? What do you think?